Peter F. Spittler (b. Peter Francis Spittler, Dec. 25, 1959) is an American architect known for his work in design, engineering and construction integration. He is noted as one of the leading architects in the Cleveland, Ohio area for green and sustainable building practices throughout the public and private sectors. Peter F. Spittler holds a degree from Kent State University School of Architecture and Environmental Design. 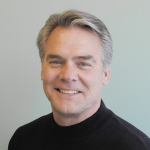 Peter F. Spittler is the founder and president of Forum Architects and GSI Architects. Through these companies and previous employment experience, Peter F. Spittler has designed functional, efficient, and visually stunning structures throughout the United States, South America, and Eastern Europe. Peter F. Spittler graduated with a degree in architecture from Ohio’s Kent State University in 1985. During college, Peter F. Spittler gained practical experience in his chosen profession, including involvement in a number of entertainment facilities and a large sports venue. Shortly after obtaining his education, Peter F. Spittler accepted a senior project manager position at Figgie International, a parent company to several independent corporations. Here, Peter F. Spittler managed a number of highly visible industrial, commercial, and corporate developments. He was responsible for coordinating teams, both public and private, to insure funding and timely project completion. As his skill set expanded, Peter F. Spittler moved on to the Austin Company and into international design and architecture. Through the Austin Company, Peter F. Spittler took on the roles of program manager and development activities. He was additionally responsible for developing and implementing program strategies in the interest of furthering the company’s international and domestic reach. In 1994, Peter F. Spittler founded GSI Architects to focus on his professional passion – MUDs (Mixed Use Developments). GSI specialized in custom projects for a diverse spectrum of clientele. Peter F. Spittler attributes GSI’s success to the deliberate assemblage of numerous multifaceted, internationally experienced construction, engineering and architecture professionals. Above and beyond simple design and architecture, Peter F. Spittler is an experienced opportunity scout and works with clients to identify overseas building and expansion opportunities. Notably, Spittler, along with a group of associates, successfully traversed financial and political obstacles and secured privatization interest for an expansive hydroelectric facility in South America. Peter F. Spittler has won numerous awards throughout his career including having achieved recognition from the International Interior Design Association. Peter F. Spittler founded Forum Architects in 2004 and remains an active voice for promoting responsible building and environmental sustainability. He is noted as a proponent of LEED (Leadership in Energy and Environmental Design) standards and incorporates LEED-compliant ideas into much of his design. Peter F. Spittler has been licensed in 16 states and been a member of the National Council of Architectural Registration Boards and the American Institute of Architects. Rosenberg, Jim. “The Right Side: Weighing Cost, Design and The Environment.” Editor & Publisher Nov 2006. Zyscovich, Bernard. “Midtown Miami.” Urban Land Magazine Feb 2006.